There are so many options when looking for cloud services. Selecting the right one for your business depends on MANY factors. If you’ve got a specific cloud provider in mind, make sure you ask yourself the following questions to make sure they really are the best option. Amazon Web Services are still the most popular cloud service option. They were the first to make cloud computing a commodity, and they are still an excellent option. After that are the biggest IT companies such as Azure (run by Microsoft), Google, IBM etc. These companies are catching up to Amazon, and offer different features and pricing structures. Each provider has a specific set of strengths and weaknesses. Some offer enormous scalability in seconds, while others offer more personalized applications management options. Don’t just select the market leader, actually go through what the provider focuses on, and judge whether that makes sense to your business. Knowing these will help you know of a provider can actually deliver the level of service you need. The last thing you want to do is spend time and effort migrating to one provider, then have to move to another to scale up again. Calculating cloud computing costs can be complicated. It’s never going to be as simple as the figures on the pricing page make out. Make sure you look into detail about exactly how your applications will operate in the cloud environment. Look for hidden charges based on things like messages sent, bandwidth, API calls, and even geographical location. Model some real life scenarios to calculate the actual costs of each cloud provider you are considering. Once you’ve chosen a cloud provider, it’s time to start preparing. Proper planning the most important stage of the process. If you do it well, the following steps should be a breeze. 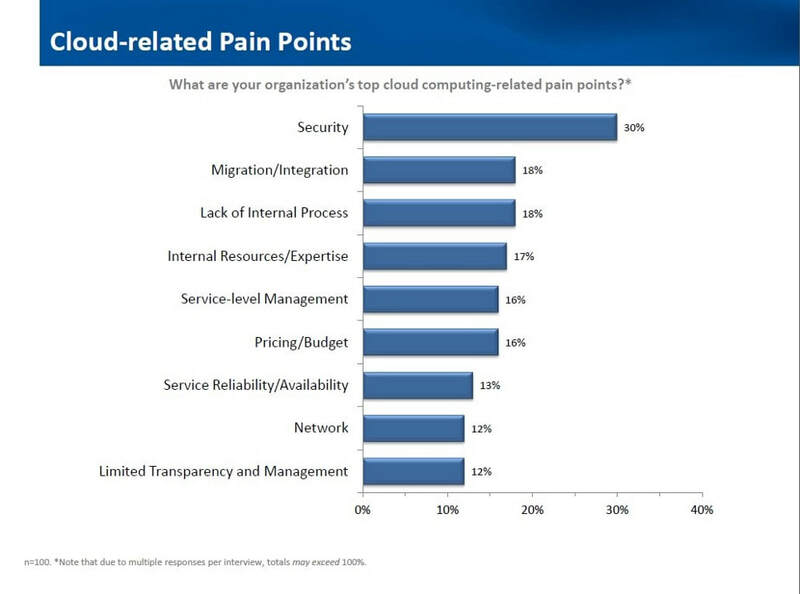 The first applications you move to the cloud should be the easiest, least critical ones. This way you can get a feel for the process, and deal with unforeseeable problems while the stakes are still low. Choose the data and applications that are most suitable for a cloud environment, and migrate those first. WILL YOUR APPLICATION ARCHITECTURE NEED TO CHANGE? Cloud server migration involves computing environments that run differently than your current system. Servers, networks and data services all run and interact differently, and you need to make sure you update parts of your system to be ready for this change. HOW WILL THE MOVE AFFECT PERFORMANCE? Performance is probably one of the key reasons you chose to migrate. But, applications won’t always run faster, or even as fast in a cloud environment. Unexpected bottlenecks can occur when changing to a distributed environments. Sure you’ll have access to lots of storage and computing resources, but communication overhead might be higher than you thought. Your staff will need to know all of the new technologies and processes. You’ll need to have your developers, managers, administrators all ready for the change ahead of time. HOW WILL YOU OPERATE THE NEW SERVICE IN THE CLOUD? Migrating a database or application to a new environment is just the start. How do things run from there? Can your users deal with a bit of downtime while you migrate? If not you will need a strategy in place that allows you to make this transition more smoothly. Many of your business processes might not apply to cloud applications. You’ll have less control over security and other procedures, and things will need to work with your cloud providers offerings. Security is one of the main deterrents to moving to the cloud. Applications can be extremely secure, but you won’t own any of the hardware. This means dealing with threats and breaches will be very different than before. To keep your data secured, you’ll need to re-evaluate your security procedures and strategies. If you spent enough time on the planning phase, the actual migration should go smoothly. Of course, there will be unexpected problems, but these will be minimized. You’ll need to use the tools you’ve decided on correctly. Depending on the size of your databases and applications, you will use different techniques for actually copying everything over. If you don’t have too much to migrate, you can just copy the data over your internet connection. This approach isn’t ideal for larger workloads. You might have very long transfer times or charges from the cloud provider. To deal with this, you could compress the data before sending it. Alternatively, you could ship your physical drives to the provider to reduce bandwidth costs. If security is important while on the cloud, it should be just as important when sending all that information and code to the cloud. Any temporary storage locations used along the way for sensitive data should be just as secure as your end destination. Moving a database can be tricky. Use the right tools for the job, and make sure the new structure and limitations of your database will work correctly. Whatever tools your provider has given, make sure you really know how they work. Moving databases can be tricky, even with great tools. Your best bet is to consult an expert that used them before. You’ll want to make sure once you move your application, it doesn’t get ‘locked in’ to one cloud provider. The main obstacle to this is with metadata. Tools like virtual machines seem like they could move easily between cloud environments. However, metadata is usually specific to a platform. Understand how you can keep track of this and keep your application portable. After you’ve migrated your data and applications, you’ll need to make sure everything is working. This might not be as simple as you think. Did all of the data make it? Is it all reachable to users? Are all of the internal components communicating properly? Can all of your admin tools monitor the new cloud app properly? If you can’t set up an automated test like this, you’ll want to do a thorough manual one. Actually executing all of the steps on this cloud assessment checklist successfully is difficult. Your best bet is to work with a team that has done this before, many times. Any sort of IT migration is dangerous and error prone. Experience is necessary to foresee and avoid problems and additional cost. You might think you can do it on the cheap yourself, but it will almost certainly cost you more money in the long run. Moving to the cloud is a way to get a better, faster service for cheaper. This is only possible if you follow all the steps correctly.